I wrote about my 4D Maxrider Experience a few days ago in Tumblr. I haven't attended to it until now. Been busy all over the Internet. To say that life is a roller coaster is already a cliché. Everyone already understands how life is as exciting as riding a roller coaster. The excitement is accompanied by a sense of fear. You fear the thought of literally falling down. Most people who ride a roller coaster are not of a faint heart. Exactly the reason why I haven't experienced any roller coaster ride since birth. In fact, I dread all types of rides in amusement parks. The only ride I wasn't afraid of are carousels. I did hop aboard one local ride during a home town fiesta a few years ago. I was too old to be scared the way I did but I got to finish the course of the ride without throwing up at least. I was with friends and they convinced me easily. It was a mini-version of a roller coaster called Octopus ride or something like that. It was not even 1/8 in size compared to a roller coaster and no breath taking turns too. 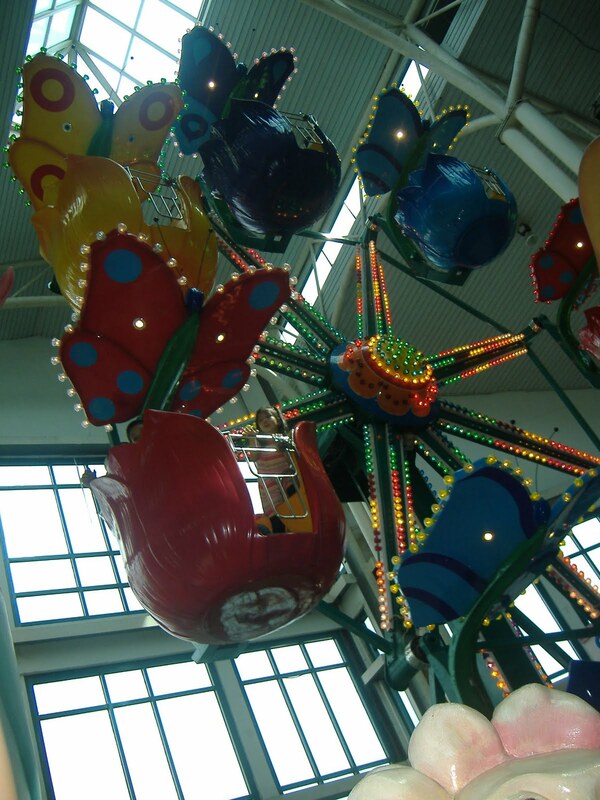 The most recent ride was the Fairy's Wheel at the Pixie Forest in Festival Mall Alabang. I was dizzy the whole time and I cursed every minute that the ride didn't stop. I also felt how blood rushed through my face because I was too scared. It is embarrassing that even kids can beat me to enjoying a ride, but hey that's me. So why did I bother with the 4D MaxRider and of all the rides, why did I picked the roller coaster? Well, I just wanted to try how it feels. As for the ride, it was suggested by the the staff. It was also one of the top picks. So off I go alone. With the 4D glasses, I held on to the railings in front of the seat. I didn't care that I was told to be careful with the glasses and the control buttons in front of me. I later realized how I could have smashed the glasses and hit the control panel in front out of panic. Yes, panic it was. It was more real than it could ever be. I can consider it my first roller coaster ride, even if it was only animated. You felt each movement as if you were there. The seat and I turn from left to right, climb upwards, and drop below. The drop is what scared me. You drop from an unbelievable height. The 4D MaxRider was less than 10 minutes. Make it 2-3 minutes actually. Why? I closed my eyes after the second or third minute and only opened it so from time to time. It was exhilarating at the beginning. I was lock jaw in awe at the start. But not for long. Weak as most would probably call me but I couldn't take it anymore. I had to close my eyes. Otherwise, I'd probably jump to death or let go of the handle. It reminds me of one the Final Destination movies. Well, there's nothing to jump to but the floor and I won't fall by letting go of the handle in reality. But the whole game conditioned my thoughts to believe I was really there. I never let go of the railings to the last minute even if I had closed my eyes. Like I said in Tumblr,"It would have been a great less than ten minutes of an experience, had I not closed my eyes after two minutes during the ride." It's still an amazing experience for me even if it was too short. I felt the thrill and excitement at the beginning. I probably won't do it again especially if all the rides are as scary as the roller coaster. But maybe I would, I'll try the other rides instead. 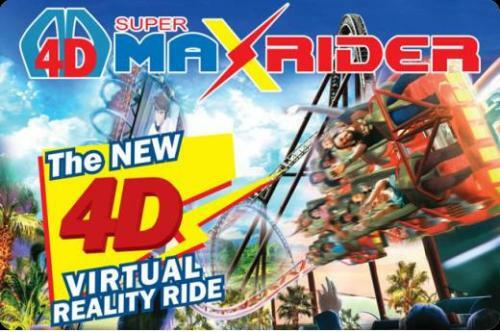 As for everyone who wants to try the 4D MaxRider, it is offered in most SM malls nationwide. Prices start at Php 480 and differs depending on individual SM mall branches. Full Game Specifications can be found on the 4D MaxRider website. I challenged someone to get aboard the same Speed Coaster site I chickened out of and he wasn't too satisfied afterwards. At least he got to complete the ride with eyes wide open from start to end. He told me everything I've missed because I closed my eyes. He was dizzy as if it was really a roller coaster ride, he said. Maybe guys are really tougher.